CMP SS is proud to announce the return of Miss Franky and the Diamond Dance Company. 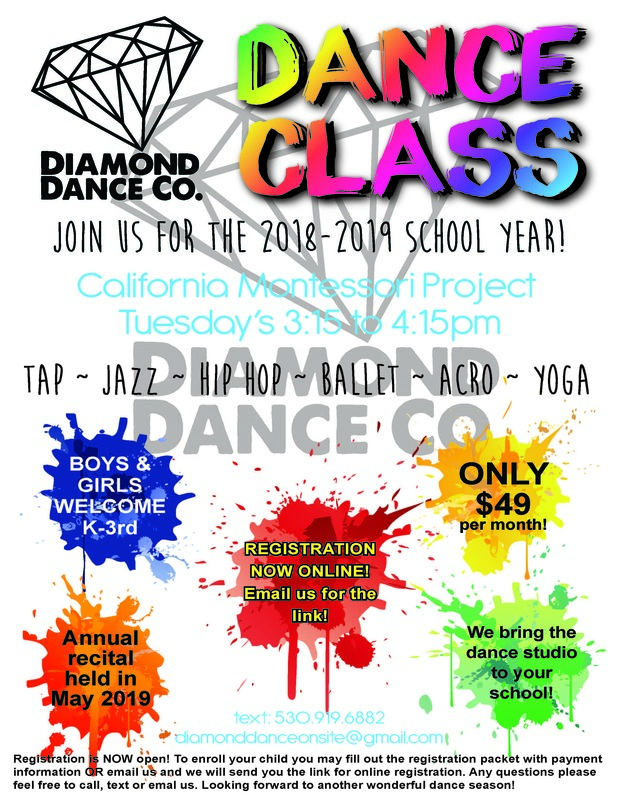 Boys and Girls in Kindergarten through 3rd grade are invited to come learn a variety of dance styles (including Tap, Jazz, Hip Hop, Ballet, Acro, and Yoga) right here at CMP SS!! Classes will be held on Tuesdays (starting next Tuesday, September 4th) after school until 4:15pm in the Cedar Class. See the message from Miss Franky (below) for instructions on registering online, or return this application: Diamond Dance Application and Waiver with payment to the office on Tuesday. 4. Click 'Make Purchase' and create client account using Student's Name and School Name.